It’s that time of year when it’s especially fun to write ‘This Week In Running.’ Races are plentiful and everyone’s racing. 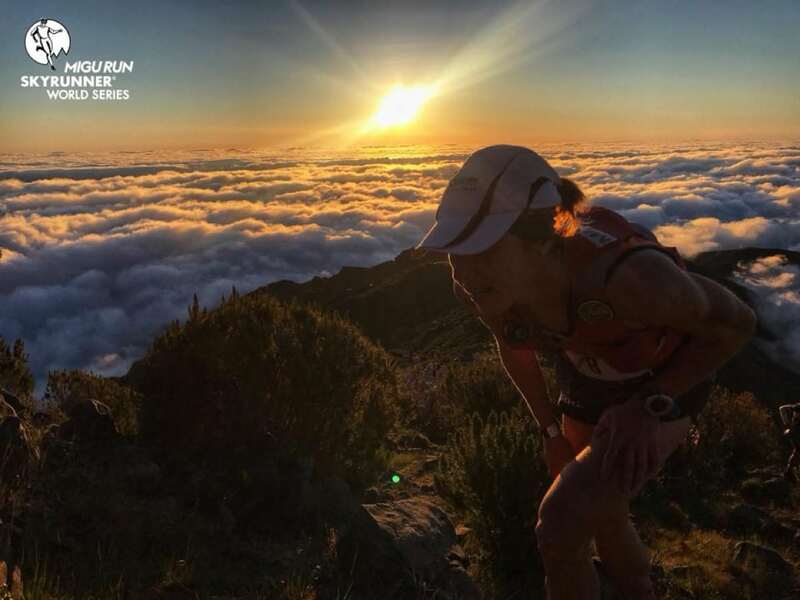 This week’s column has Skyrunning highlights from the Ultra Skymarathon Madeira race in Portugal, a clash of upstarts and veterans at Colorado’s Golden Gate Dirty 30, and victorious races from Rob Krar and Ellie Greenwood, among others. Just weeks ago, hard-to-reach Madeira Island hosted the Madeira Island Ultra-Trail, an Ultra-Trail World Tour event. 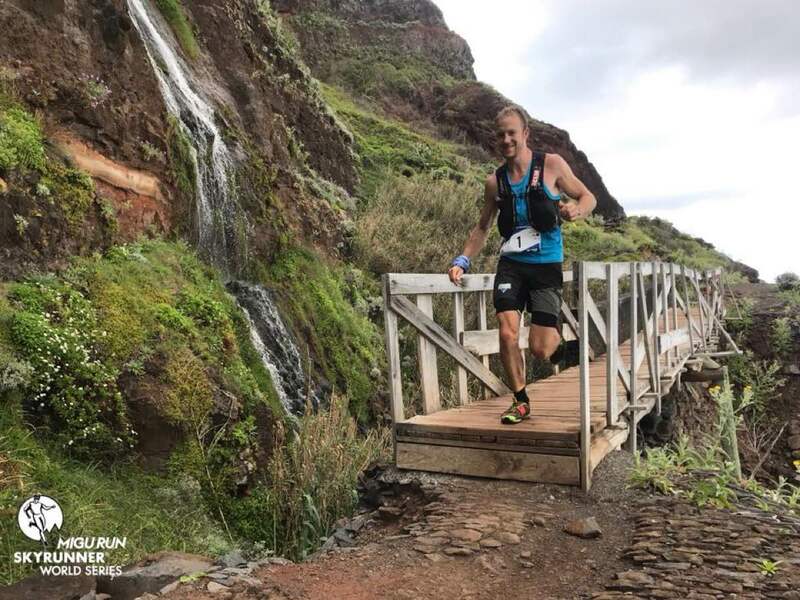 And now the 286-square-mile volcanic island was back in the news for the Skyrunner World Series Ultra Skymarathon Madeira 55k race. It’s probably time to stop calling Jonathan Albon (U.K.) an obstacle-course racer. He won here for the second year in a row, finishing in 5:47 to beat a best-ever field for this race. No one came within seven minutes of Albon. André Jonsson (Sweden) and Dmitry Mityaev (Russia) ran in the lead group throughout the day and finished second and third in 5:54 and 5:56, respectively. Ragna Debats (Netherlands) is nearly unbeatable right now. She races everything that Skyrunning puts on the calendar, and wins most. Recall she also won the Trail World Championships just a few weeks ago. This one though was perhaps closer than other recent races. A determined Emelie Forsberg (Sweden) led Debats both early and late, but Debats was able to make a late pass to earn the competitive win. Both Debats and Forsberg finished in 6:45, with Debats 42 seconds in front. Núria Picas (Spain) was third in 6:57. The next Skyrunner World Series race is the June 16 Livigno Skymarathon 34k in Italy. Although just 30 miles west of Denver, Golden Gate Canyon State Park is a world away. The 12,000-acre park has some 36 miles of trails with above-sea-level elevations ranging from 7,600 feet up to 10,400 feet. This mountain playground hosted the Golden Gate Dirty 30 50k, a race now in its 10th year. The anniversary run included a rich $2,000 first-place cash prize. It’s summer 2018 and 19-year-old Jackson Brill is coming of age. The recent Idaho high-school standout beat a field made of many of the Front Range’s best, and this is on the heels of a recent course-record run at the Quad Rock 25 Mile too. Brill’s dominant win came in 4:36, a time that ranks fourth-best ever here. The finish sits behind only a pair of Chris Vargo runs and a Paul Hamilton 2013 run. Brill is next registered for the June 23 San Juan Solstice 50 Mile. Maintaining the finish order from that recent Quad Rock 25 Mile race, Chris Mocko was again second behind Brill. This one wasn’t as close however and Mocko finished in 4:46. Brian Condon was third in 4:51. Check out DeMoor’s YouTube vlog from the race starting at about 4:30 in for the wild sprint finish that he and Condon had. The two were in full flight–no hands being held–when DeMoor tumbled just before the finish. In the accompanying 12-mile Dirty Dozen race, David Roche earned both a new course and a new event record thanks to a 1:30 finish. Madeline McKeever led three women under the 6-hour mark. McKeever’s first-place 5:30 run is recognized as a course record on the official results. It would, just like men’s winner Brill’s time, rank fourth-best on the race’s all-time chart regardless of that year’s course. Though not as young as Brill, McKeever too looks to be a new name to the scene. She competed at Duke collegiately and is next registered for July’s Kendall Mountain Run 12-mile race in Silverton, Colorado. Second- and third-place Emily Hannah and Michelle Hiland circled the mountain park in 5:42 and 5:54. Hannah’s finish also earned a top-10 all-time rank for the race. And in the 12-mile contest, just like men’s winner Roche, Tess Amer reset both the course and event records with a 1:50 run. In the U.S., age 40-plus counts as a master’s runner. Elsewhere, it’s 35-plus and that was the criteria for entrance to the 18th World Mountain Running Association Masters Championships that happened in Slovenia. The course ran, unfortunately, different distances for men and women, with a 10.8k (6.7 miles) route that had 1,184 meters (3,884 feet) of elevation gain for men ages 35 to 54, and 7.2k (4.5 miles) route with 869 meters (2,851 feet) for all women and men ages 55 to 79. Race winners were Miran Cvet (Slovenia), age 50, and Monica Kolligar (Slovenia), age 36, in 1:02 and 52:04, respectively. Full results. Two laps, up and down ski slopes, totaling 6.5 miles and with 2,462 feet of elevation gain, that was this year’s Cranmore Mountain Race in New Hampshire. Patrick Caron ran 53:19 to beat out Tristan Williams by 51 seconds. Tim Van Orden was third in 56:11. Women’s winner Caitlin Patterson, a Olympic Nordic skier and former U.S. Mountain Running Team member, finished in 1:01:16. She was joined on the podium by Kassandra Marin and Corey Dowe in 1:02:06 and 1:04:30. Full results. Official results are not yet in for the Old Dominion 100 Mile Endurance Run in Virginia, but social media and word of mouth are telling us that Oliver Leblond and Michelle Leduc won the event in 17:01 and 20:17, respectively. Full results (when available). Buck Blankenship and Rachel Bucklin went 19:15 and 25:26 to win Utah’s Bryce Canyon Ultramarathons 100-mile race. 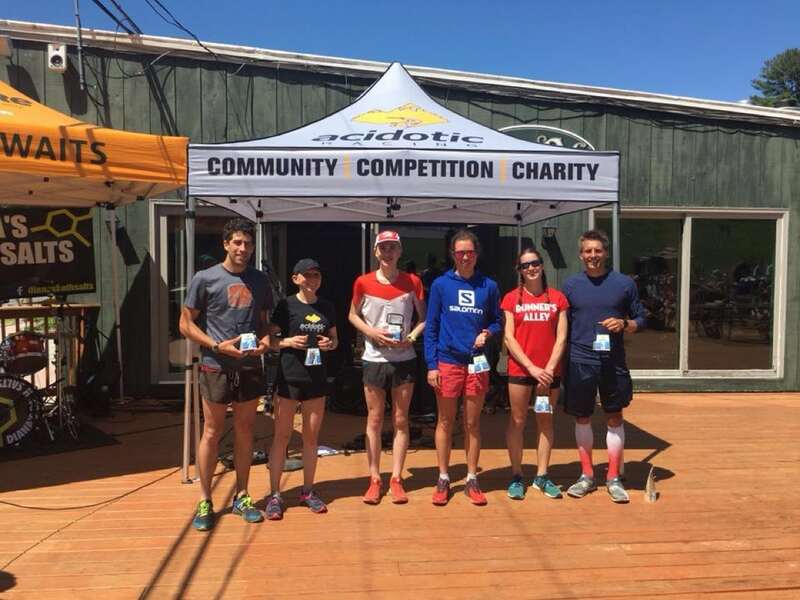 Zac Marion and Caitlin Muldoon were victorious over 50 miles in 8:28 and 9:41, and Rob Krar and Margaret Knight won the 50k race in 4:45 and 6:39, respectively. Full results. Starting and finishing in Colorado’s Pine Valley Ranch, one of my local favorites, the North Fork 50 Mile race crowned David Teirney as the winner of its ninth-annual run. Teirney ran 7:40 and women’s winner Carrie Stafford finished in 9:39. Jonathan Clinthorne and Emma Patterson won the accompanying 50k in 4:40 and 5:11. Full results. The British Columbia Wild Horse Traverse 50k is so remote that aid-station supplies have to be shuttled in by jet ski, and runners don’t hit their first aid until 21k into the race. Sounds great. The first-year run had Justin Nicholas and Ellie Greenwood as its race winners in 4:22 and 4:56. Full results. Vashon Island is tucked into Washington’s Puget Sound, just big enough to host a 50k. Vashon Island 50k men’s winner Richard Lockwood set the gold standard for carbon footprint reduction. He bicycled from Seattle on Friday night to the ferry, camped at the island, ran 3:49 – the race’s fourth-fastest ever – and then bicycled back home with his gift basket winnings packed into his panniers. Vashon Island-born Christine Mosely won the women’s race in 4:27. Full results. Tropical storm Alberto left southeast Florida, well, incredibly soggy. 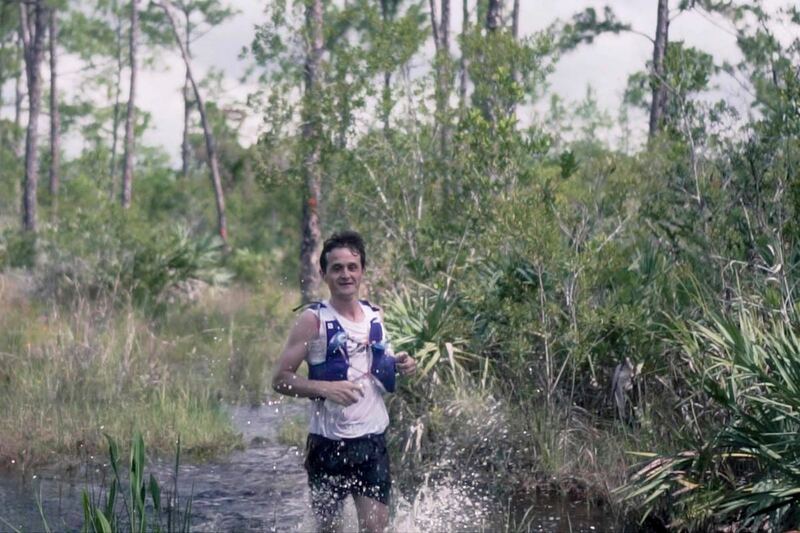 The Lake to Ocean 100k still took place on the Florida Trail though with 26 ambitious starters and four finishers, all men, we believe. This trail was seriously water logged, and the pictures prove it out. Eddy Souza was the first-place finisher in 15:49. Full results (when available). It’ll be a down year at the Comrades Marathon on a course from Pietermartizburg to Durban, South Africa. Defending champion Camille Herron has withdrawn, citing injury. Her absence adds to scratches from Caroline Wostmann (South Africa) and Dominikia Stelmach (Poland). This makes Gerda Steyn and Charné Bosman, both of the host country, the pre-race favorites. More women to watch include the USA’s Sarah Bard and Devon Yanko. Men’s contenders are expected to include Prodigal Khumalo, Bongmusa Mthembu, Gift Kelehe, and David Gatebe, all of South Africa, among others. Gatebe holds the ‘down’ course record at 5:18, set in 2016. 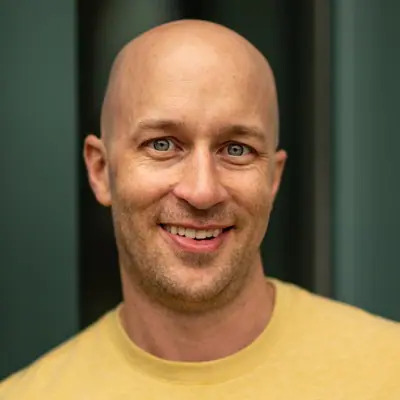 More men to watch from international destinations include Sweden’s Fritjof Fagerlund, the USA’s Geoff Burns, and the U.K.’s Steve Way. There’s more out there. Results from Idaho’s Scout Mountain Ultras, Minnesota’s FANS 24-hour race, and California’s Bishop High Sierra Ultramarathons were among those not yet available at the time of this writing. Add reader insight on those races and others in the comments field below. Great to see Ellie Greenwood is back and running so well. Anybody know if Camille Herron’s injury will keep her from running Western States? Was excited to see the showdown between her and Courtney Dauwalter. So it’s looking like there is hope. The 2nd annual Connecticut Ultra Traverse (CUT) took place this weekend, a point-to-point 112-mile course starting at the Mass. line and following a rocky, rollercoaster route — 99% on trail — south to Long Island Sound. Less a race, more of a “group run.” Of about a dozen starters there were five finishers, with Matt Freiman off the front and taking the “W” in 38:34 and the pack of four, including the event’s mastermind, Art Byram, finishing together in 43:46. Yup, you saw those numbers correctly. One. Tough. Course!! Brittany Peterson had been flying under the radar for some years, but after Nike picked her up after her stellar run at last year’s TNF50 she’s been running right up there with the world’s best, all while maintaining a ‘real job’ back in Idaho! Can we as a community not give attention to outdated race formats that have forced shorter courses for women? I like that IRF made it clear that they don’t support the shorter course for the women, but they still acknowledged the awesome work that Monica Kolligar did to win the race. I’m not sure what more they could do — not mention it at all? Thanks for inc Wild Horse results – a beautiful race and really well organised – I can totally recommend this and any of the other PACE trail series events in British Columbia. It was the 2nd year of Wild Horse. For those not paying close attention, Krar has now raced, and won, 4 50ks in the last 8 weeks. It’s definitely adding up to be a some kind of training cycle! I hope the man is back and some big races come over the course of the next year or two! What’s up with highlighting pros and “big names” no matter their place at a given event? I don’t give a monkey’s uncle what pro ran to 13th or 14th or 17th or 18th any more than the “no names” in the place omitted between first and twentieth. List top entire fives/tens and notable DNFs. To skip spots is a bit insulting to the people who beat the pro/name on the same day, eh? I do like seeing where the Pros and Big Names finished; its pretty much why I read this article each week. Same. irunfar doesn’t have any obligation to recognize you in this article just because you did well in a given race…I want to know how the runners who I am familiar with did. I agree with Ingo – It is entirely disrespectful to list “notables” who finish lower in the ranking. I think it’s fine to list the notables, if you also include the others who put in the work to finish above them that day, in my opinion. Those guys put in the effort that deserves recognition that comes with finishing higher. If not, why even have a race. I’m fine that Justin goes with that approach. It’s no different than typical mainstream sports highlights, such as the scrolling stats for players (in part, for fantasy sports purposes). Off-day performances by popular players will be noted, as will exceptional performances by anyone; in-between performances by less popular players are not. Thanks for your comment. I placed 14th as an elite athlete. If you don’t care about my result that’s fine. But do realize that when “ elite” athletes put themselves out there and have a tough go and denies a DNF and watches girl after girl pass them they show that they’re human and for some people they are encouraged through humility. This is the first time I’ve had to work through a race defeat that I will carry with me for sometime and will have a hard time racing my next race. And with comments like this one that are negative more harm is done than good. We’ve all been there outshined by those in the top 5/top 3. It takes years of siligent training a practice to be somewhat noticed or discussed on social media. And I’m the grand scheme of things it doesn’t really matter this is just a sport we are all passionate about. We should all be encouraging each other. To the ladies in front of me not mentioned great job, you beat me. If that’s what needs to be said, I said it. Let them continue to work hard to pursue their goals so they can get some social media time if that is their wish. For me that is not the goal. Ingo, I don’t understand your tone, you seem bitter. I am sure Anna Mae Flynn had beaten many pros in her early career and wasn’t mentioned. It is not about one race. Flynn, no doubt, became pro due to her consistency in placing in the top three over a span of years. That far surpasses placing high, here and there. That is why I follow her. Read her statement. She has graciously and vulnerably let us in on a difficult run. She is human, she will learn from that race and I, for one, am excited to see her continued success. Watching a pro overcome a rough stint is interesting on so many levels. She has paid her dues and deserves our respect. Most people can understand that. She doesn’t seem to be particularly concerned about her social media time, she authentically seems passionate about her own goals. Kudos to her. And just because we are saying that the other non-elites deserve to be mentioned when they perform well, it is not a negative against the elites, just a recognition of those that did well. I’m sure they weren’t out to “beat you” but rather ran a good race that deserves recognition. Part of encouraging others, is giving them credit when they do well, not just trying to defend status as elite. I just wanted to follow up, emotions aside and to clarify a few things coming from my perspective. For one, I adore Irunfar and would like to make sure that you all know and everyone knows that my intentions are never to come off negative or to make anyone upset. Now to address this topic: Let’s imagine you are that 5th place male or female who was not mentioned in the irunfar recap of any given weekend’s race. You beat the 6th place and 7th place elite. Perhaps you beat the 10th place or even 15th place elite. You are thrilled, you worked so hard for this race. You feel that you deserve recognition for your success. You go onto Irunfar anxiously awaiting the recap to see your name emphasized in bold. But alas, your name is not mentioned. You are still a ” nobody”. Guess what… I’ve been there race, after race, after race, after race, after race, after race, after race…etc. The difference is I did not race to see my name in bold on Irunfar’s recap. For my friends, it’s the journey that we go through to try and perfect this art form for ourself and the running community at large. The Tim Olsen’s, the Rob Krar’s, the Ellie Greenwood’s… I cant speak for them. But what I see is that these athletes have and are shaping the sport whether they finish top 3 for a stellar season or suffer set backs and come back to compete and continue to love to race despite the challenges. I for one look up to elite athletes that rise to the challenge of a tough season or tough race and fight from the gun and though a DNF could salvage a comment such as the one you published; they decide to go for it and finish the race. So you see it’s a remarkable thing for anyone to compete in a race and finish. There is a respect in our running community for those elites who finish the race knowing that there maybe people passing judgement on their placement. I hope you can see my perspective and value me putting myself out here on this thread to give you my perspective. Jim Walmsley has had off races, Magda, Kaci…etc but that does not take away from who they are. Rather it shows that they all care about the journey. Why do folks assume the commenters asking for results must have been left off a list in some race? Nobody asked to omit anyone, just add full results! AMF – All anybody asked for was a more thorough result roundup for each race instead of skipping around. Don’t overthink it. Sorry you had a bad race. I sincerely hope these are sarcastic comments and not how you view other ultra runners. I would hope you would have more respect for other runners and why they are participating in the sport. 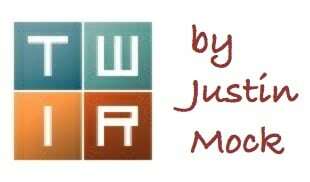 I have no connection to the races or runners listed in this weeks TWIR column. If I am curious about the full results, I will simply go to ultrasignup or another site and look them up. I simply feel proper respect should be paid to the runners who finish at the top of a race. That is all. These runners are running the same races and have all the same challenges (and probably more) than the “elites” do. Doing so does not take anything away from other runners. For what it’s worth, I do also enjoy following what the top runners are doing, their incredible accomplishments, and how they continue to push the sport forward. You know you can just go onto Ultrasignup and look at results, right? Or you could click the link under the notable finishers that says “full results.” Sounds like you really just care about results, so just save yourself the grief of being unhappy with irunfar’s coverage and go straight to the source. For many of us, however, we follow elite runners and like to know how they do in certain races. I am a fan of the Atlanta Braves. When I watch Sportscenter and “The Lead” shows up on the crawl at the bottom of the screen to highlight big news from the day before and the Braves aren’t mentioned, I open up my computer or grab my phone, go to Bleacher Report, and find the score from last night’s game. Try that with ultrarunning. It works really well. This Week in Running attempts to provide a weekly glimpse into the happenings in the trail running and ultrarunning world. It is intended to be a partial roundup, not an exhaustive compilation. * That holds whether we’re talking about the breadth of races reported on (we always call for readers to provide results for and insight into additional race), as well as the depth to which each covered race is reported on. On the later point, you’ll often find the winners, perhaps the podium finishers, or, in most instances, no more than a complete listing of the top five finishers for a particular race we note, BUT this is always accompanied by a link to the full results (so long as they’re available). To this, Justin sometimes adds the results of a few select additional runners at his discretion (which I trust) to provide ongoing context to the season of runners who regularly find themselves at the front of the most competitive races. ** This is done with no intended disrespect to other runners who might not find themselves listed for having finished sixth or eighth or 12th in a particular race. Although I have no intentions of doing so, any modification of column would be to simply cut the reporting off after the winners, podium, or top five, but I think that would be a distinct disservice to our readers. * Nor could it every be, both because Justin and Meghan already put in a ton of work in a time sensitive manner and because it would quickly become unreadable. ** What’s more, while it didn’t happen in this TWIR, we’ve got multiple sets of eyes watching for local/regional/national upstarts/breakouts and call attention to them when we notice them. Big Basin Skyline to the Sea was held yesterday, there was a marathon as well as 50K. In the 50K Ben Eysenbach (who recently won Quicksilver 100K) ran 3:48:03 for the win, the second fastest time in event history. Anna Lee ran 5:16:06 to win the women’s race. The marathon was won by Jason Heartisan in 3:44:00. Second place overall was Heather Grothjan in 3:53:10. Thanks for covering Bryce. The heat was brutal. The DNF rates seems exceptionally high….any comments? The inaugural Scout Mountain Ultra 100 mile and associated 50 and 21 mile races were held this weekend. Alex Brown set a new CR by less than 2 minutes at the Dam Yeti 50 in Damascus, VA. Ran a 7:03:05. He’s a Beast Coaster that is having some really good results on our end of the country! I ran the HM at Bryce Canyon and while my brother was lining up for the 50k, I look over and see Rob Krar about to toe the line, a mere feet from my bro. I told him, you got some elite company my friend. Got a chance to meet Rob after the race and what an awesome guy. I forgot that he was recovering from Meniscus surgery but said he’s feeling great and hoping to get back to a 100 soon. After the race my bro said, “yeah, pretty sure I saw Krar flying down past the turn around almost an hour before 2nd place” lol..
Fun fact: 2016 WSR winner and Ultrarunner of the Year Kaci Lickteig was there to crew/pace her Mom’s first hundo!